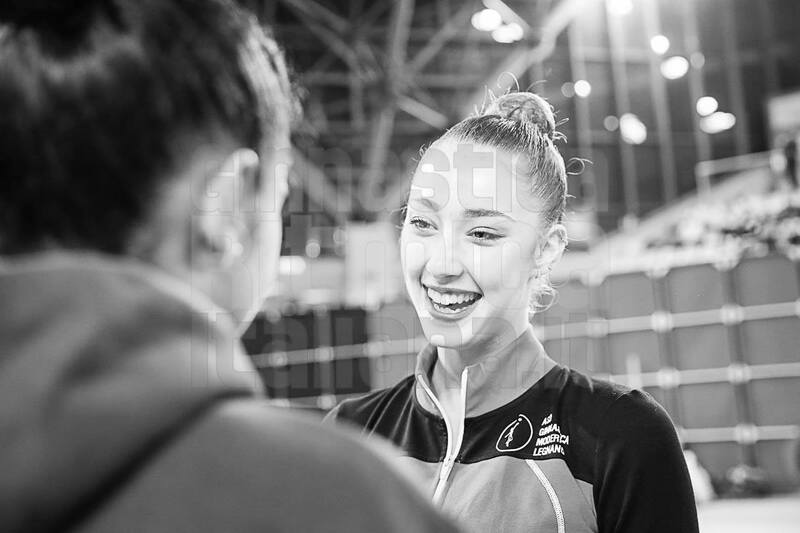 Masha competed in Italy Serie A 2015, 1st stage at Chieti was held yesterday. Masha is in A2 team: A.S.D. GINNASTICA MODERNA LEGNANO, she did ball and ribbon yesterday. Her scores, ball 16.900 ribbon 16.250. seems she didn’t do well. The club she competed for won 1st place in A2. Here’s A2 full results: http://dati.federginnastica.it/articoli/allegato_9027.pdf and this is A1 full results: http://dati.federginnastica.it/articoli/allegato_9028.pdf . Short video, MODERNA LEGNANO won 1st place in A2, coach’s words: https://www.youtube.com/watch?v=0rc69Ygou3o . And A1 vid: https://www.youtube.com/watch?v=__012mjkWHE . Staniouta, Halkina, Rizatdinova, Mazur, Pazhava, Selezneva, Vedeneeva, and Ruprecht in A1. Masha Titova, Dina Averina, Arina Averina, Romanova, Rodriguez and Piscupescu in A2. @Sasha, thank you for the video link. Masha Titova in a RT documentary on Russian rhythmic gymnastics. Have you seen it already?